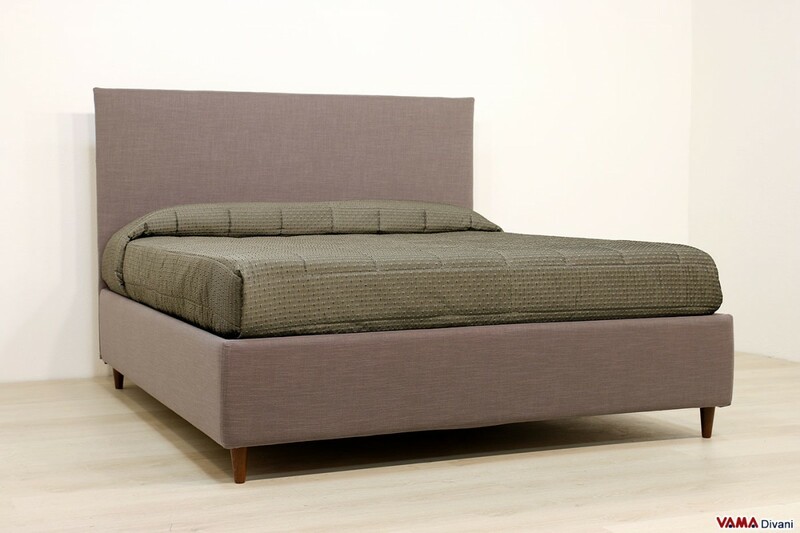 Simple is a fabric double bed characterised by a linear and essential design, a sober model but a very appealing one, which can be combined with great flexibility. 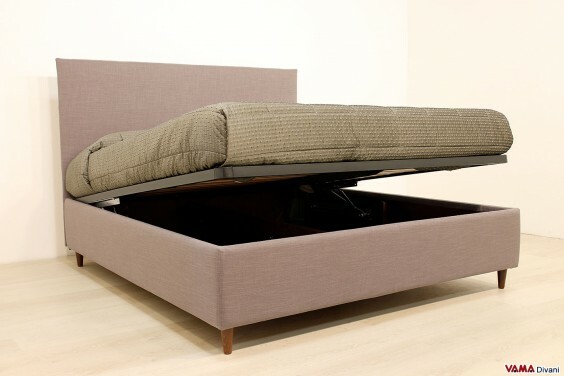 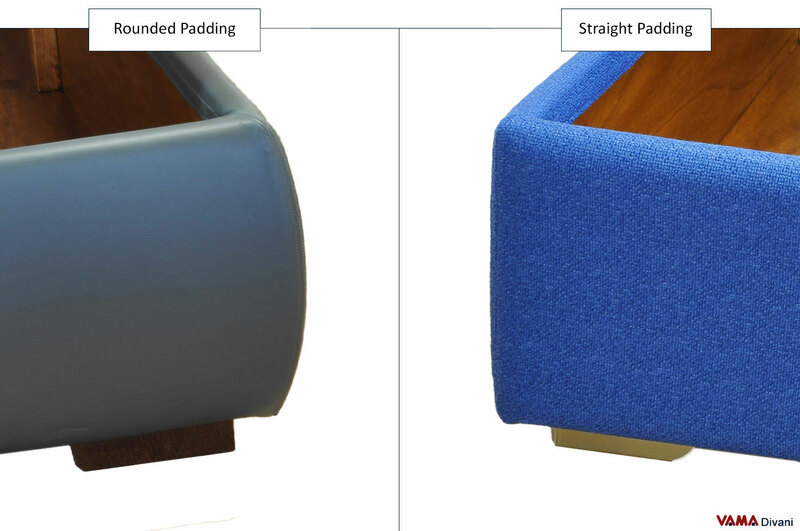 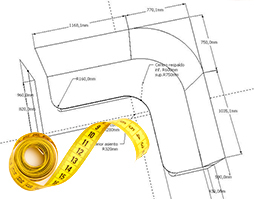 Like all our beds, even this model is available in all sizes, for example, it can be realise as a French bed. 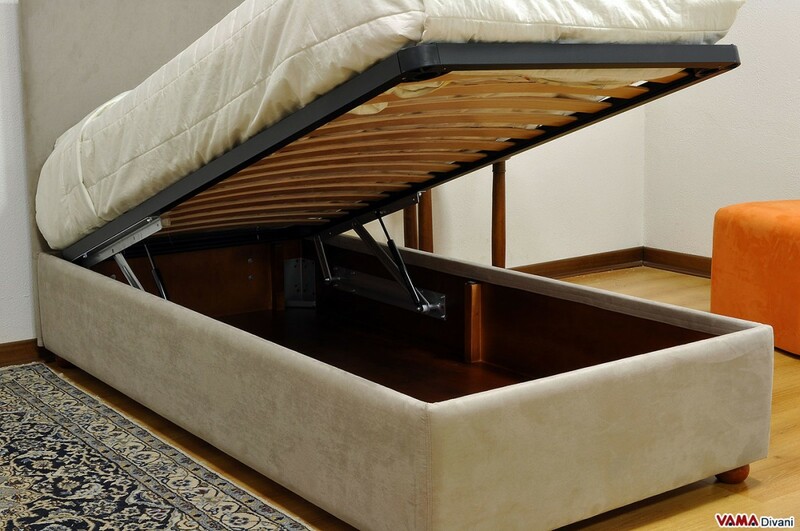 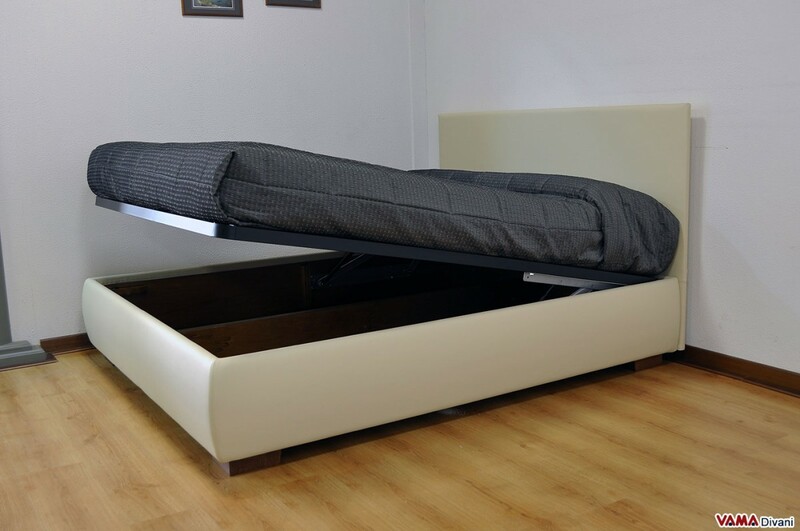 It can be customised in any size, moreover, you can use the space under the mattress like a closet, as in all our beds with storage box. 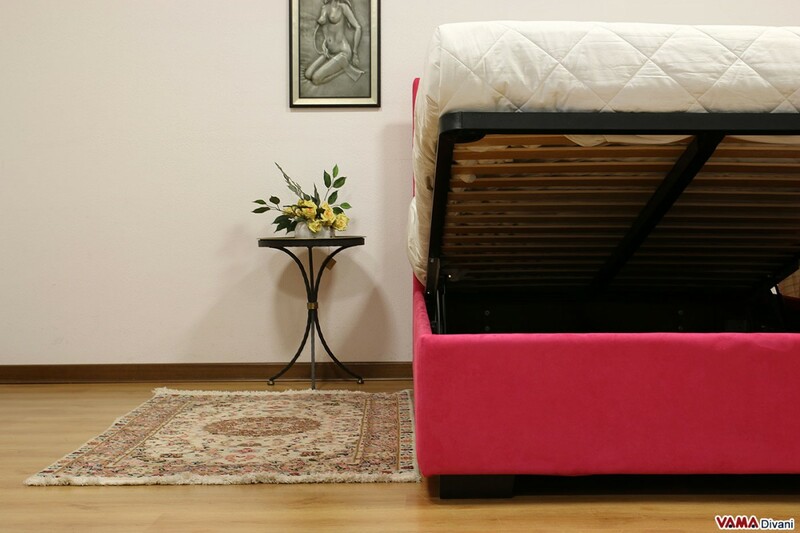 Presenting a fully removable cover, therefore, easy to clean, this model offers a robust and durable frame and is made of high quality materials; its compact structure also makes it ideal for those who want to minimise clutter. 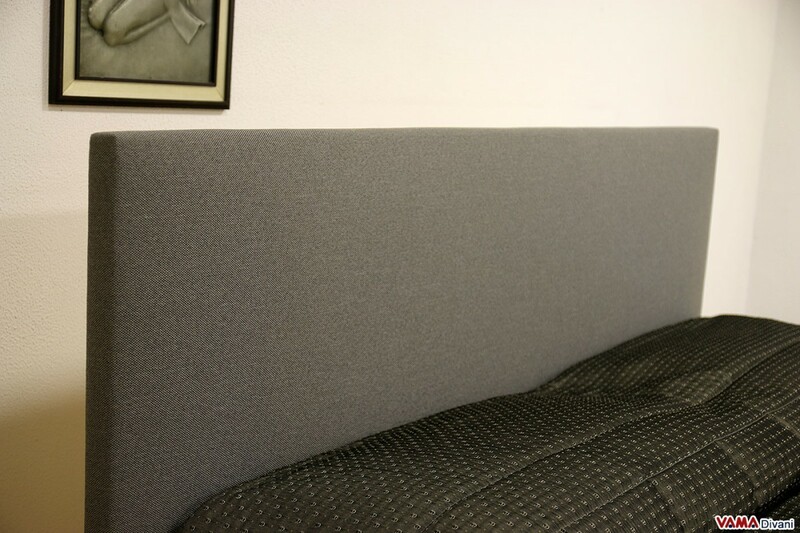 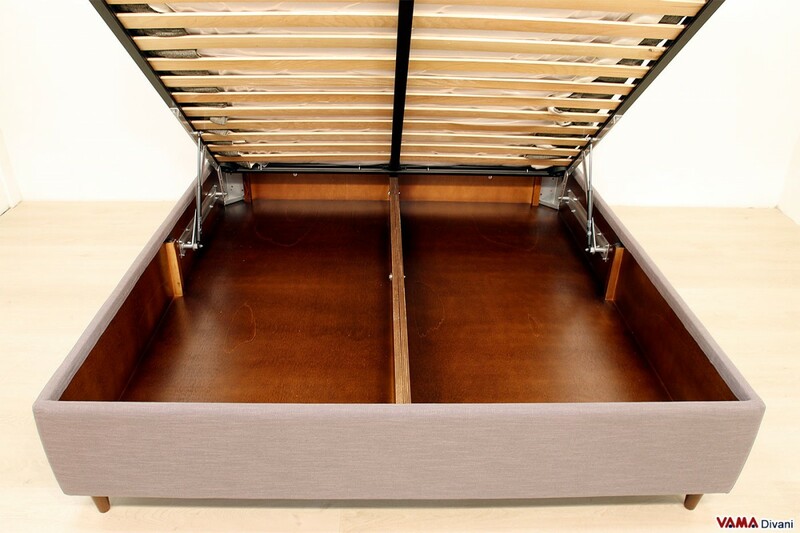 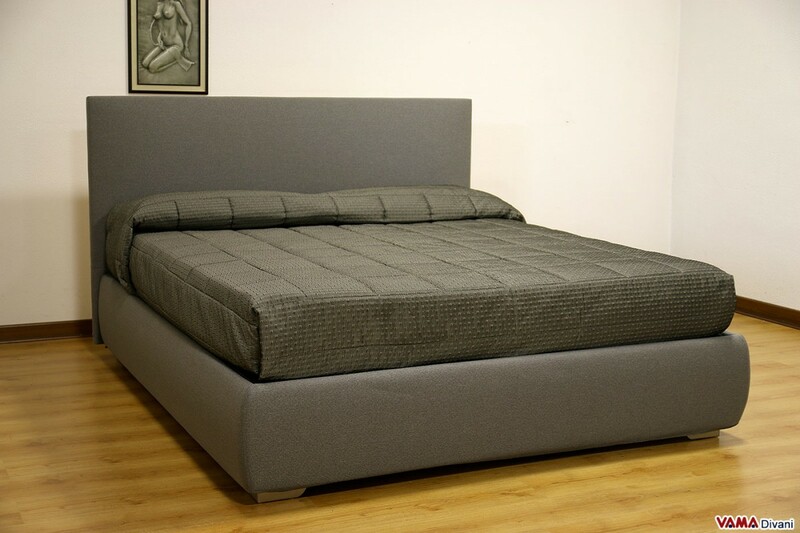 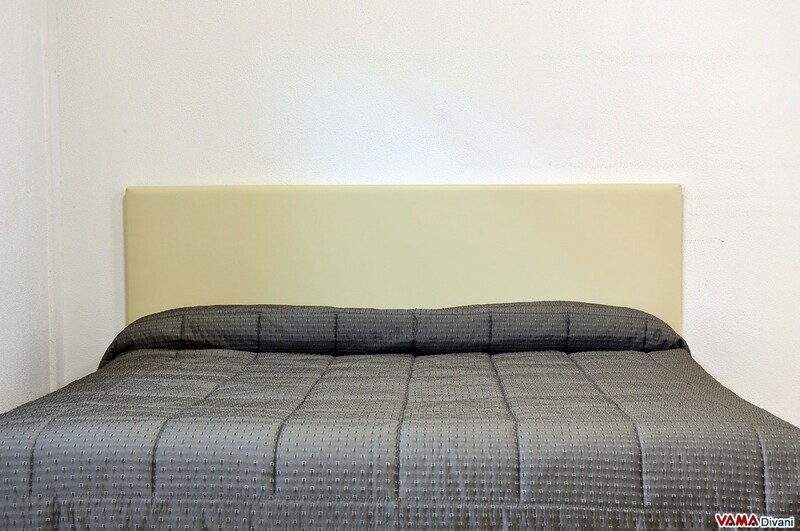 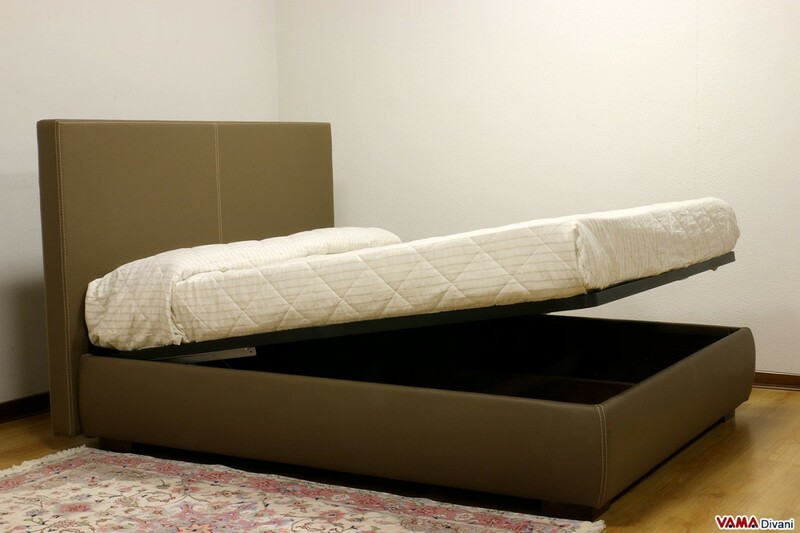 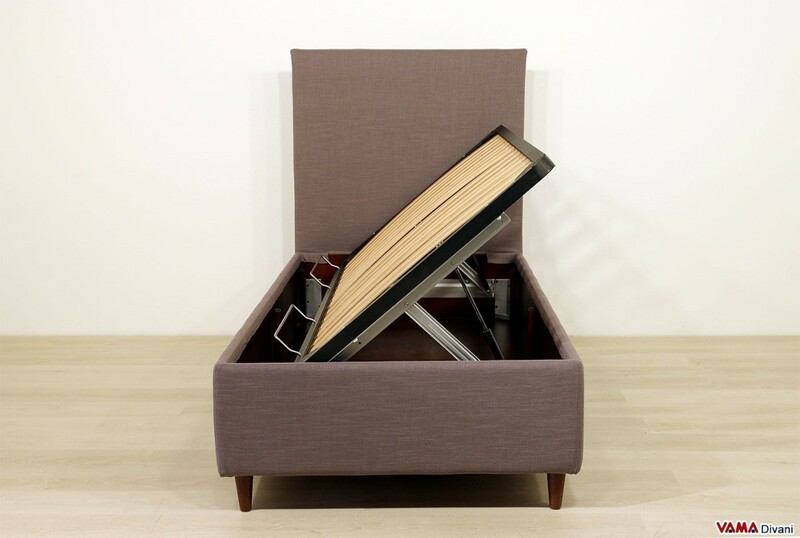 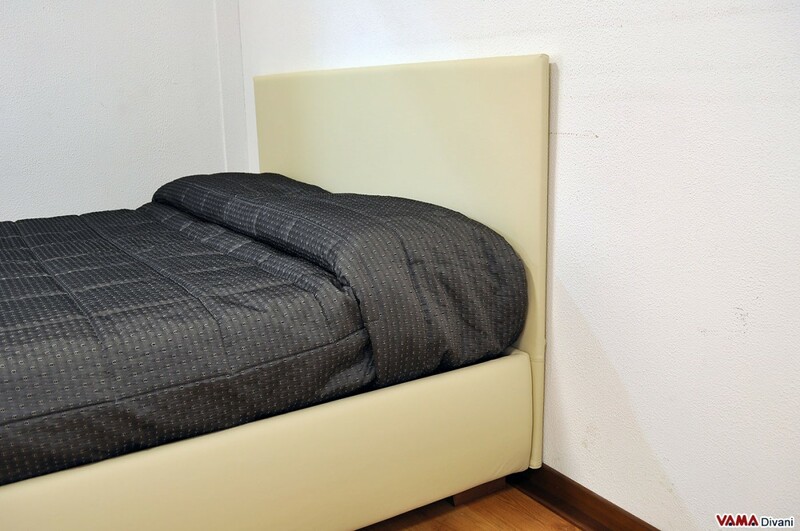 Simple, like all the other fabric beds by VAMA Divani, can come with storage box, highly recommended solution for those who want to save space in their bedroom, and it can be customised in any size and feature. 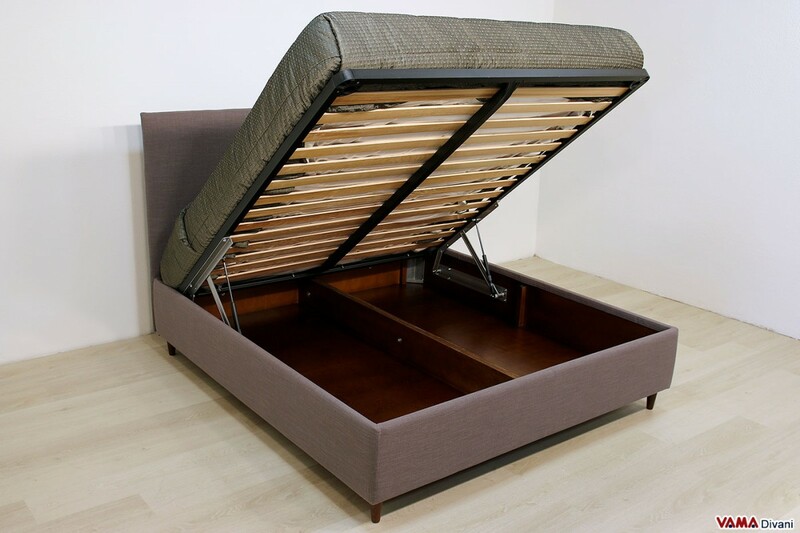 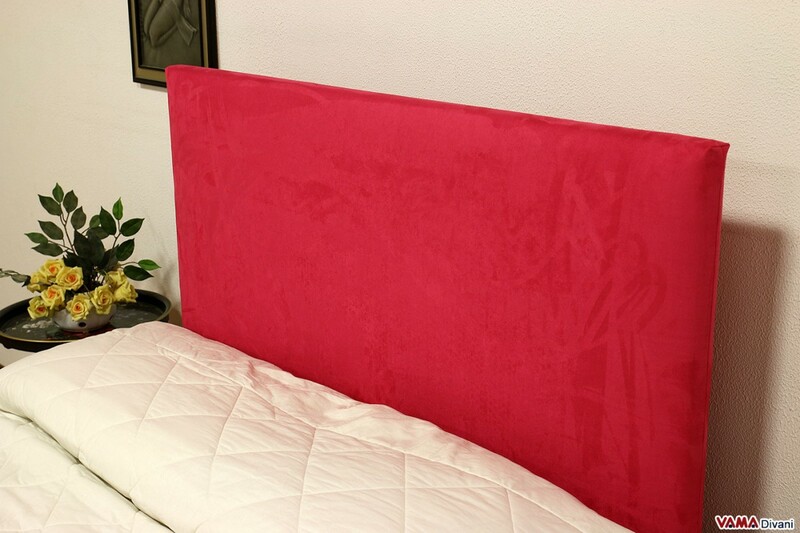 Being a model which requires little craftsmanship, it is proposed by VAMA Divani at the lowest price concerning the beds with headboard, although, as said, it is a bed of great quality. 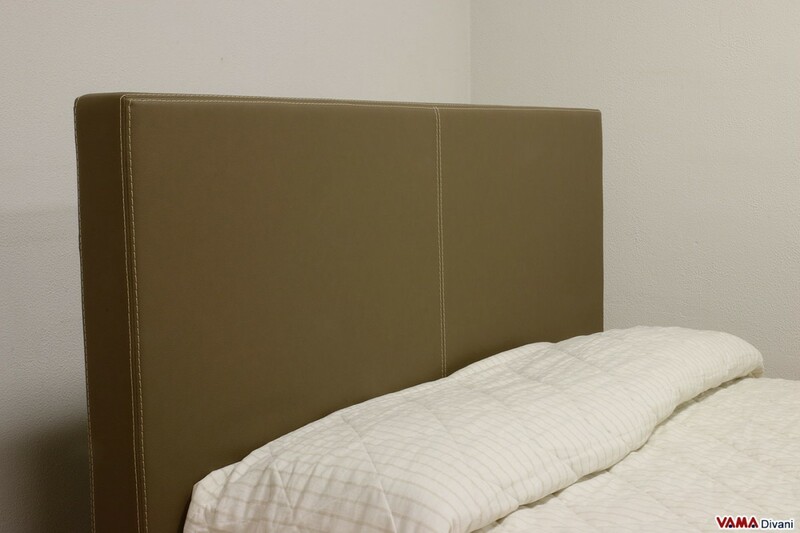 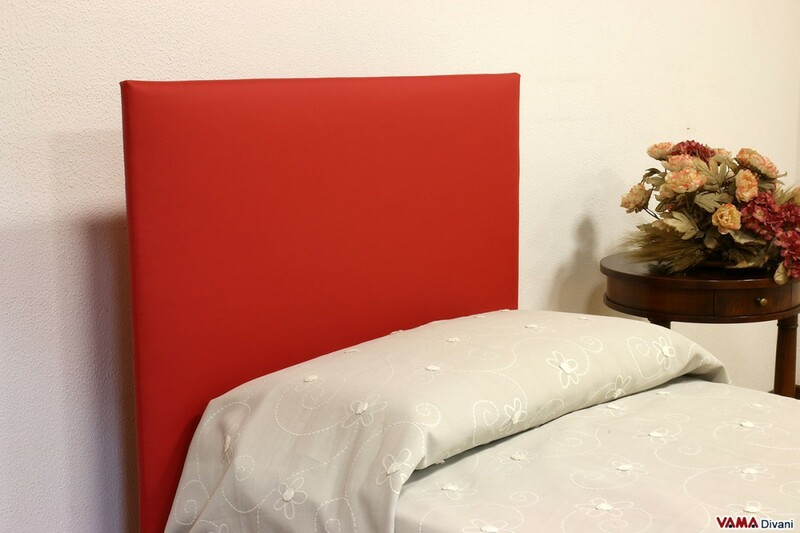 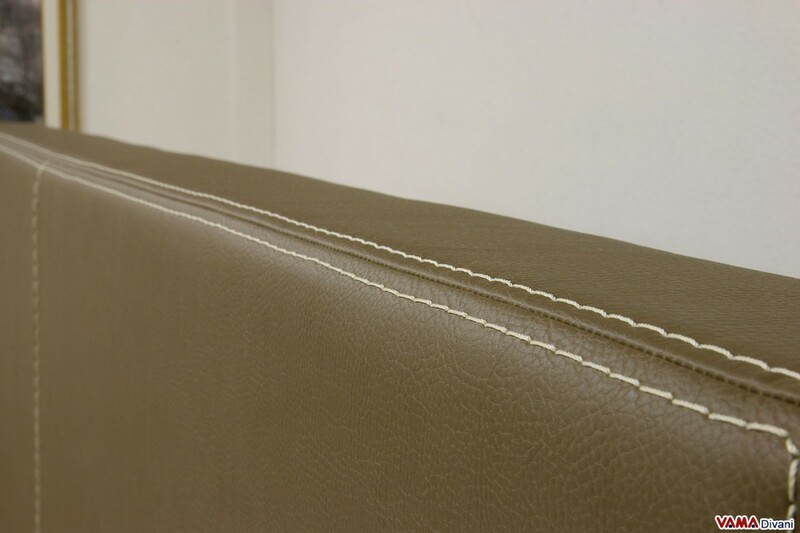 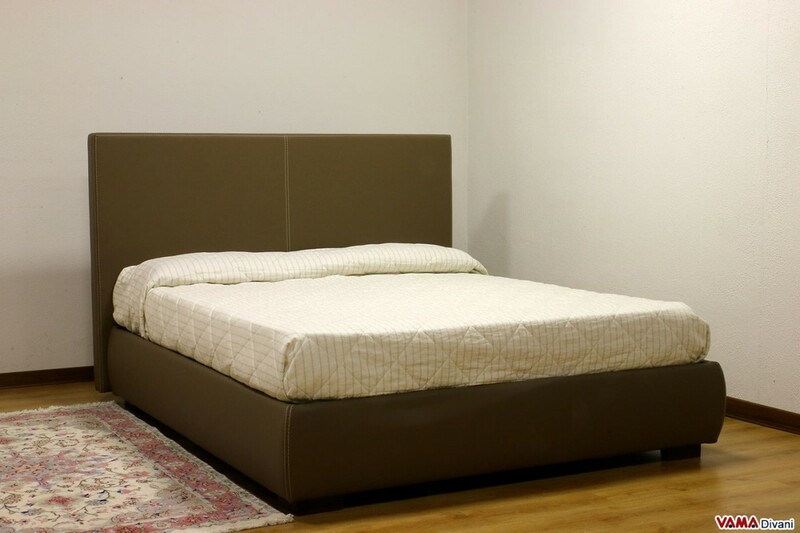 If you need its corresponding mattress, as well as a quilt of a particular colour or pattern, you can include these products in your order to enjoy an absolutely complete bed.